Leslie W. Hicken is a 26-year veteran with the Furman Department of Music. He retires after spring semester. Just a few short weeks after leading the Furman Symphonic Winds in a performance at New York’s historic Carnegie Hall, Leslie W. Hicken will conduct the ensemble in its annual spring concert Friday, April 12, at 8 p.m. in McAlister Auditorium on the Furman University campus. 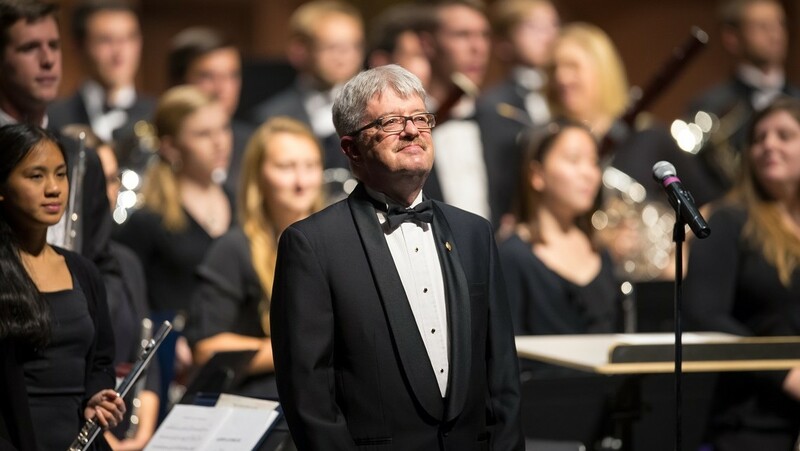 The concert, which is open to the public, marks the end of Hicken’s 26-year career as director of bands in Furman’s Department of Music. Tickets for the Sound Quality Concert Series event are $15 for adults, $10 for seniors 60 and older, and $5 for students. 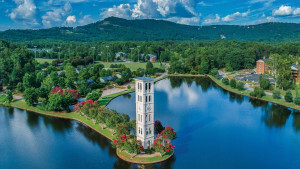 The program includes works by Ralph Vaughan Williams, Aram Khachaturian, Percy Aldridge Grainger, John Williams, John Philip Sousa, Joseph Wilcox Jenkins, Furman Director of Athletic Bands Jay Bocook, Ottorino Resphigi and Henry Fillmore. For the second half of the program, Furman alumni will join Hicken onstage to perform with the Symphonic Winds. The concert also marks the last performance on campus for the graduating band members of the Class of 2019. For more information about the event, contact the Furman Band Office at 864-294-3069, and FurmanMusic@furman.edu. Or contact the News and Media Relations office at 864-294-3107. 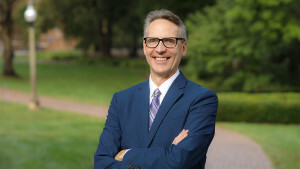 Charles E. Daniel Professor of Music Leslie W. Hicken joined the Furman music faculty in 1993. He directs the wind ensemble, symphonic band and chamber wind ensembles, and serves as assistant director to the marching band. In 2010, he led the wind ensemble to the American Bandmasters Association National Convention in Charleston, South Carolina. In March 2019, Furman Symphonic Winds performed as a showcase ensemble at New York City’s historic Carnegie Hall for the New York Wind Band Festival. Hicken will also lead the Carolina Youth Symphony at Carnegie Hall in April 2019. A member of the South Carolina Band Directors Association Hall of Fame, Hicken is president of the South Carolina Band Directors Association, and member of the American Bandmasters Association. 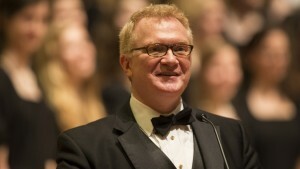 Prior to joining the faculty, Hicken was the director of bands at Youngstown State University (Ohio) and director of the Youngstown Symphony Youth Orchestra. He also performed as a clarinetist in the Youngstown Symphony Orchestra. Earlier in his career, Hicken taught in Durham, North Carolina, and performed as a clarinetist in the U.S. Military Academy. Hicken holds a bachelor’s degree from the Eastman School of Music, and advanced degrees from Columbia University and Indiana University. 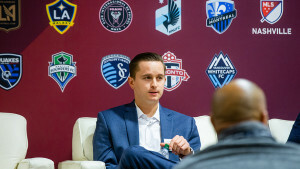 Last updated April 15, 2019 .